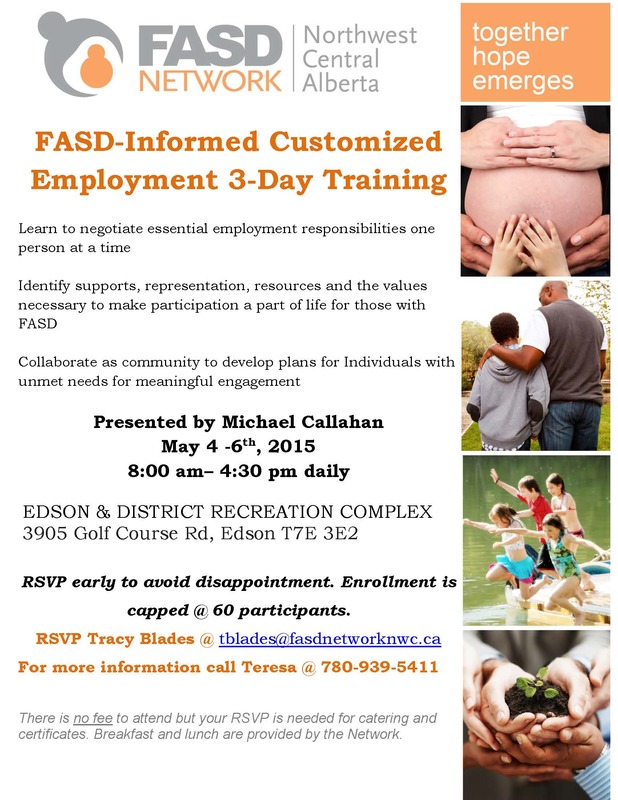 The Northwest Central FASD Network is hosting training in Edson for those who work with and support person with disabilities- specifically FASD. This includes front line support staff for youth and adults with disabilities, caregivers, educators, employment agency personnel, Alberta Works staff and employers. This is a training not to be missed- it is on the cutting edge with Alberta Works Initiatives and has the framework which to support our clients with opportunities for having a meaningful life.